Allicin is used in aquaculture and has the characteristics of improving palatability, promoting appetite, stomach and bactericidal, deworming and health promotion, and promoting growth. 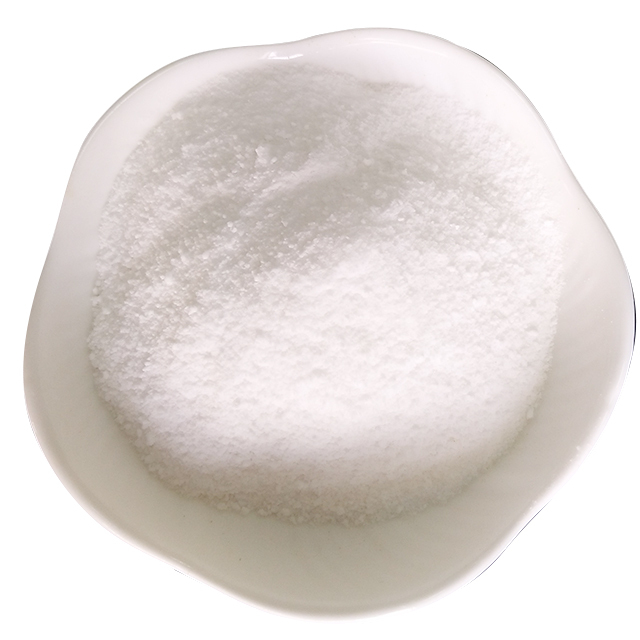 It has no accumulation, no drug resistance, no teratogenic, carcinogenic and mutagenic in aquatic animals. Such side effects are widely used in disease prevention and treatment. It has a broad-spectrum antibacterial effect, can prevent and cure a variety of common infectious diseases, and can improve the body’s immunity. Allicin can be used in combination with other additives, including antibiotics, without antagonistic effects, and there is no restriction on withdrawal period. The following describes the amount of garlic in the aquatic products and the effect. 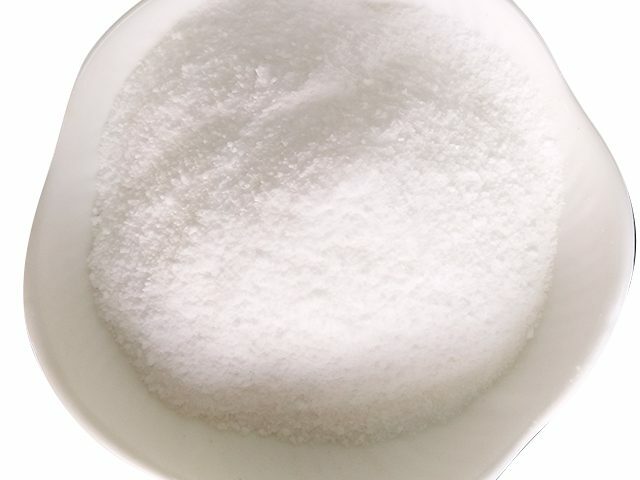 It is suitable for poultry, fish, shrimp, crab, and turtle . (1) increase the flavor ratewas, soft-shelled turtle.Add garlic in the chicken or the turtle feed, can make the chicken, turtle more fragrance. (2) enhance the survival rate of animals.Garlic has a solution, sterilization, prevention and cure effect, in animals such as chickens, pigeons, 0.1% of allicin is added to the feed can improve the survival rate was 5% ~ 15%. 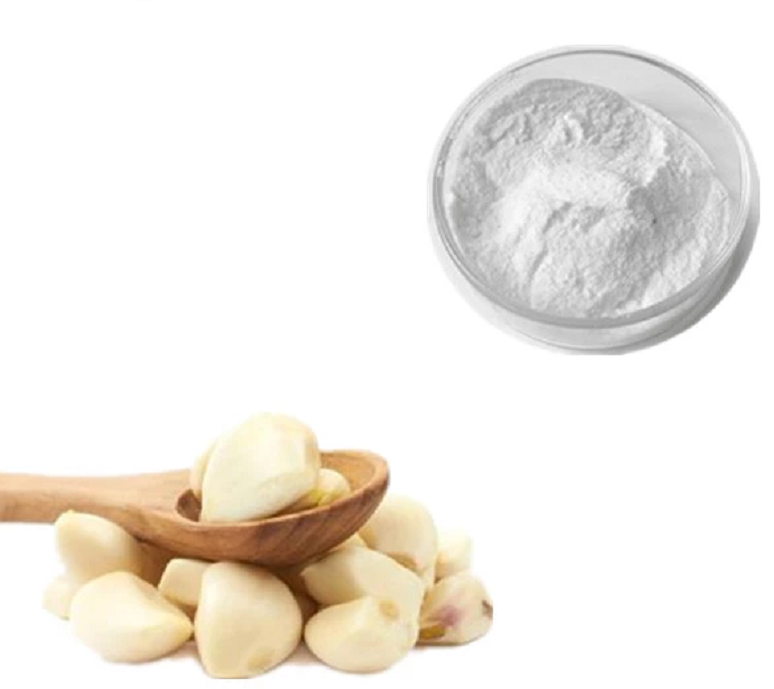 (3) increase appetite.Garlic has increase gastric juice secretion and gastric bowel peristalsis, stimulate appetite and promoting digestion, 0.1% of allicin is added in the feed preparation, can enhance the palatability of the feed. (4) the antibacterial effect: allicin can inhibit dysentery bacillus, salmonella typhi, breeding, such as staphylococcus aureus, pneumococcus has obvious inhibitory effect of killing.Oral allicin can treat enteritis, diarrhea, loss of appetite, etc. (5) improve the meat quality.After animal intake, meat, milk and eggs quality improved significantly, the original stench is reduced, the taste more delicious. (6) for fish, shrimp, turtle because of all sorts of pollution caused by the feeling of rotten gills, red skin, enteritis, hemorrhage disease treatment with special effects. A large number of studies have shown that allicin can effectively kill the main pathogens of freshwater fish such as Bacillus fluorescens, Myxobacteria, Vibrio anguillarum, Edwards, Aeromonas, and Ryerson, and grass carp. Enteritis, rotten rot, red skin disease and squid bleeding and fish fulminant infectious diseases are particularly effective, and are currently one of the better drugs for the prevention and treatment of fish diseases. Oral administration can prevent bacterial rot disease and enteritis disease. The medicated bath method can prevent and treat vertical squamous disease. The whole pool splashing method can prevent enteritis, rot, and red skin disease, and has good therapeutic effects on the complications of these diseases. . Jia Weibin and other reports, adding 100mg/kg of synthetic allicin to the carp bait, the survival rate of carp increased by 2.5% compared with the control group; adding 50mg/kg, lOOmg/kg synthetic allicin to the carp in the bait, and the control group Compared with the survival rate of soft-shelled turtles, they increased by 2.44% and 2.96% respectively; adding 1% garlic to the feed can control the red leg disease of shrimp; adding 5% of garlic for cage cultured salmon, the survival rate increased by 2.16%; adding 0.008 % garlic oil can increase the survival rate of grass carp by more than 15%. Tang Xuerong and others believe that garlic thiamine (a compound of allicin and thiamine) can inhibit the action of thiamine enzyme, can significantly enhance the resistance of shrimp, and greatly reduce the mortality: Fu Tonglu and other added 1% in grass carp and carp bait Garlic slag premix, the survival rate of carp increased by more than 15%; Yan Jie in the lOOha pond test found that allicin has a good control effect on fish susceptible to enteritis, rot disease, and no toxic side effects.